However, cutting-edge technology has the capability to turn trash into treasure by converting waste into energy. This process produces thermal energy using waste - creating electricity or heat energy through combustion. It’s a new way to look at recycling - taking a collection of materials that otherwise would be discarded into the earth and remanufacturing it for another purpose. But how is waste that is produced every day turned into energy so that it can then be used to generate heat and power? Waste can be either in solid or liquid form. No matter the form, both can be hazardous. Through various processes, solid wastes can be turned into a gas. That gas is then used to create energy, producing electricity, heat or fuel. In 2015, the United States saw about 262 million tons of municipal solid waste, according to the U.S. Energy Information Administration. Of that, just over half ended up in landfills, and about a quarter was recycled. Nearly 13 percent, however, was burned with energy recovery. 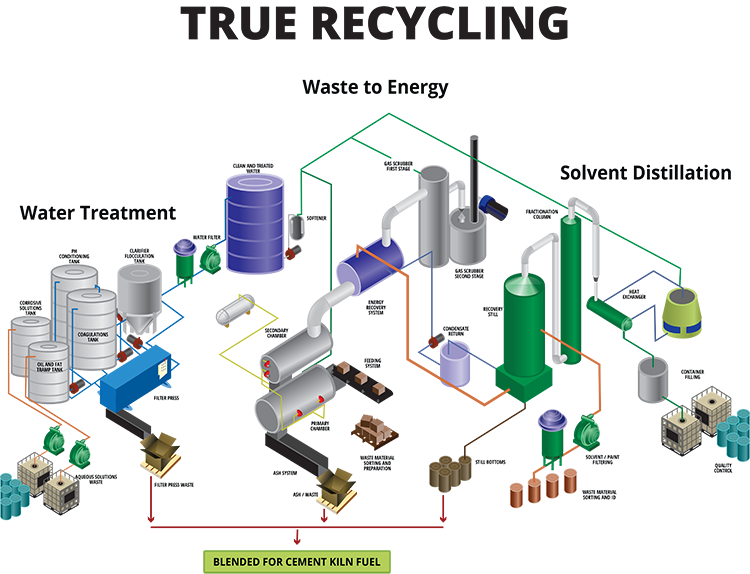 Waste-to-energy facilities typically incinerate garbage in an effort to turn solid waste into a gas. During this most frequently used process, chemical energy is transformed into thermal energy. Organics collected from waste are burned, or thermally destructed, at extremely high temperatures. According to the U.S. Energy Information Administration, in 2016, 71 plants in the United States generated nearly 14 billion kilowatt hours of electricity through burning nearly 30 million tons of municipal solid waste. Though incineration plants utilize the most common method of turning waste into energy, there are other technologies available as well that produce energy. Depolymerization breaks down waste materials into crude oil products. Using thermal decomposition, this process takes materials and subjects them to high temperatures and pressure while in the presence of water. Long chain polymers are broken down into shorter chains - mimicking a natural geological process that produces fossil fuels. This type of process converts carbonaceous substances into carbon dioxide, carbon monoxide and hydrogen, though the latter in small amounts. 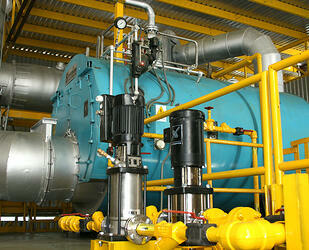 Gasification uses high temperatures as well, but in the presence of oxygen. The synthesis gas that is created is used to produce a source of heat and electricity. Pyrolysis subjects organic or agricultural waste to elevated temperatures, but without the use of oxygen or halogen. During this irreversible process, solid, liquid and gas can be produced. Pyrolysis oil can be used to generate heat and electricity as a renewable industrial fuel. It also can be upgraded into a specialty chemical or used as a transportation fuel. During plasma arc gasification, compressing the waste produces gas that is then ionized using a plasma torch. This process does not use combustion, and can reduce how much waste is sent to landfills, while at the same time generating electricity. In addition to renewable energy alternatives, waste to energy plants are using innovative technologies to create a more sustainable environment. As technology continues to evolve and more waste management facilities partner with waste to energy providers, companies like Temarry Recycling continue to work to reduce hazardous wastes. In fact, Temarry takes this process one step further by using waste to energy technology to generate energy that powers solvent recovery stills on site. A conveyor transports the waste into the primary stage for thermal destruction, and all vapors and gases then receive a secondary treatment. The steam generated from this process is then used as an energy source to power the solvent recovery stills. These stills produce technical grade solvent products that are sold back into industry. Ash recovered from the ash hopper is also blended with high BTU still bottoms, and controlled blends are sent to cement kilns to be used as alternative fuels. Combining the solvent distillation process with energy recovery creates a Closed Loop Recycling system that allows received waste to be treated and turned back into reusable products. Perhaps most important for environmental concerns, a true Closed Loop Recycling system uses and reuses all components - nothing is wasted and all recycled solvents are reintroduced back into industries. You can read more about how the Temarry’s solvent distillation process works in our article, Solvent Distillation And The Energy Recovery Process Explained.